Stuff, Things, etc. : Who watched Homeland last night? Who watched Homeland last night? 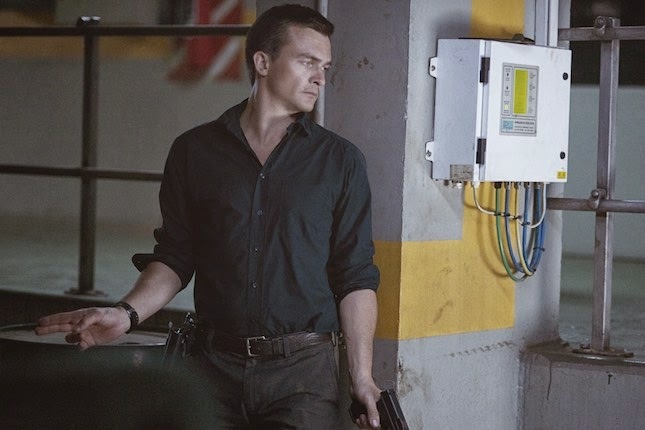 I've mentioned that I love Rupert Friend's character on Homeland. Last night's episode solidified Scott's man-crush on Quinn too though. We don't watch for Carrie or Saul. We like to see what Quinn is going to do next to live up to his trained-assassin ways. This article Quinn Went Rogue..and it was righteous to behold sounds about right. I think it would've been pretty awesome to be that private who helped him. I mean, that guy's career was just made. Anyway, this is the best episode of Homeland, I think, to date. The fourth season is almost finished and if you're not watching this show, you need to be. I've only convinced one friend in the last year to watch it, and that's a very low recruitment rate. You can get it on Netflix. You can buy it at Wal-mart. I've been waffling lately over the cable bill and episodes like this make that Showtime payment worth it. All superfluous t.v. channels will be canceled in exactly two weeks. I promise. I watched! it was pretty crazy. So many people are talking about this show and I've never ever seen it! I might need to remedy that! I've never watched it, I didn't know Wickham.. I mean Rupert Friend was in it. Now I need to watch it.